Planning a wedding? Let’s talk about wedding websites. For wedding websites all you need is a theme that can showcase the best moments of the event. Nowadays internet is the go-to info stop for every people. You will be able to provide your guests with most of the information they will need in making preparations, by having a website for your wedding. Wedding websites make the event so much easier. It is so easy to build a wedding website with WordPress. Here, I have put together the 10+ Best Free Wedding WordPress Themes. 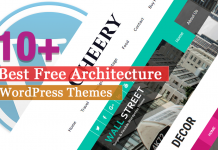 All these are WordPress professional themes and absolutely free. Enjoy! Wedding Bells Lite is a beautiful and elegant Free Wedding WordPress Theme. The theme is very well designed, romantic and visually stunning, attractive and engaging, resourceful and feature-rich wedding theme. Vivah Royal Wedding is a royal theme for wedding websites. It is a structured theme with a romantic feel is perfect for couples, with or without coding knowledge, looking for an easy-to-use, performance efficient theme to craft out a beautiful website. Match is a modern and clean wedding WordPress theme. The theme is specially designed for wedding websites and blogs. The theme is completely compatible with Gutenberg and allows to create beautiful posts using all of the editing possibilities brought by this visual editor. Catch Wedding is a free, simple yet feature-rich wedding WordPress theme. The theme comes with responsive design and interesting wedding features. The theme is a unique and systematic WordPress theme for weddings that follows a simplistic and minimal design. Forever lite is a beautiful Wedding WordPress theme. It is the platform which make easier for the user to show their loved and get new ideas for their wedding plan. Also, the theme is useful for those who want to make their wedding so special because in a single website user will get all the collection of their requirement. VW Wedding is an elegant, clean and sophisticated responsive WordPress theme . The theme is dedicated to couples for designing beautiful engagement and wedding websites. Also, it can be used for anniversaries, birthday parties, family functions, wedding bands or for art and design website. BB Wedding Bliss is a free wedding WordPress theme. The theme is perfect for marriage, engagement, couples, wedding planners, wedding band, personal, portfolio, art, design, business, photography, girlie or feminine blogs and websites, as well as photographer type of clients. Wedding Band is an elegant WordPress theme for wedding websites. The theme has been created as a solution for couples or wedding planners in need of a solid, highly effective platform for putting together amazingly stylish wedding websites within minutes. Truelove theme is a free responsive wedding WordPress theme. It is specially built to showcase your wedding moments and memories. The theme is clean and elegant WordPress theme for perfect couples. PhotoFrame is a beautiful and free photography WordPress theme for fine art, bridal, family, portrait and wedding photographers. The theme will surprise you with its style and features. Nuptial is an elegant, responsive free Wedding WordPress theme. The theme is designed for wedding websites. Nuptial is very attractive, modern, easy to use and colorful design and has stunning flexibility. Here, I’ve tried to make the list of some of the Best Free Wedding WordPress Themes that will help you to build a perfect website easily. These themes are carefully handpicked and well tested. Next articleHow to Add WordPress Site to Google Webmaster Tools? 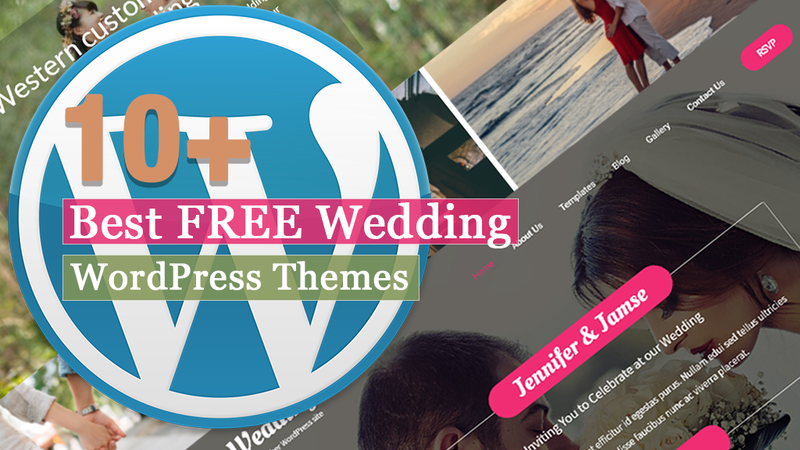 Hey Buddy!, I found this information for you: "10+ Best Free Wedding WordPress Themes". Here is the website link: https://wpallclub.com/best-free-wedding-wordpress-themes/. Thank you.